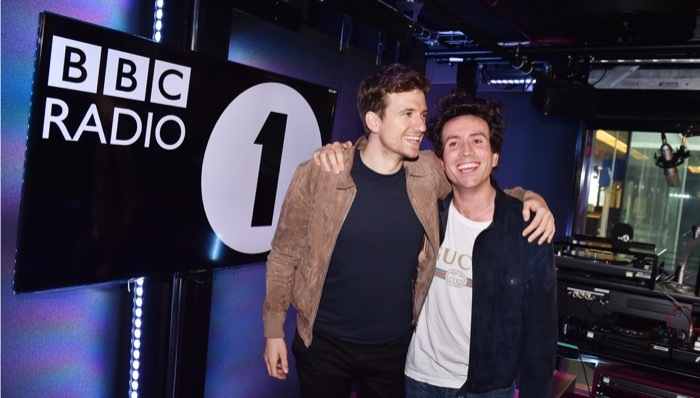 Nick Grimshaw left the BBC Radio 1 Breakfast Show with half a million more listeners than a year ago – handing them to Greg James who took over the show halfway through the last quarter. The show now attracts 5.75m listeners (Mon – Fri) and is up 465,000 Year on Year. In London, Capital is back on top with almost 2,100,000 listeners according to Reach in the London commercial radio battle, as Kiss slips back under the 2m listener mark (1,958,000). Magic is in third place (1.5m) whilst Heart comes in 4th (1.4m). But BBC Radio 4 continues to lead the London Reach with 2.4m listeners. Heart continues to be the UK’s biggest commercial radio brand, reaching 9.7m people every week and adding 175,000 listeners in a year. At the BBC, all BBC Radio’s weekly reach over the period (Q3, 25 June – 16 September 2018) was 34.3 million (34.5m last quarter and 34.9m last year) and a share of 51.7% (51.7% last quarter and 52.1% last year). In September 2018 there was a record 26.5 million downloads of BBC podcasts in the UK. Of these, 14.7 million (also a record) were Radio 4 podcasts such as The Ratline and Friday Night Comedy. Radio 5 Live also had a record 4.7 million downloads of popular podcasts such as That Peter Crouch Podcast and Flintoff, Savage and the Ping Pong Guy. BBC Radio 1 posted a reach of 9.6 million listeners (from 9.24m last quarter and 9.69m last year) – which rises to 10.56 m when listeners aged 10 and over are included (up on the quarter by 308,000 and on the year by 9,000) – while the network’s share of listening was 6% (from 5.9% last quarter and 5.9% last year). The Radio 1 Breakfast Show now attracts 5.75 million listeners (all listeners aged 10+), which is 79,000 fewer than last quarter and up 465,000 since last year. BBC Radio 2’s weekly audience was 14.64 million (from 14.94m last quarter and 15.36m last year) while the station’s share of listening was 17.1% (17.9% last quarter and 17.5% last year). The Chris Evans Breakfast Show attracted 8.82 million listeners per week, compared to 9.04m last quarter and 9.35m last year. BBC Radio 3’s audience was 1.93 million (from 1.91m last quarter and 1.96m last year) and its share was 1.2% (1.1% last quarter and 1.1% last year). BBC Radio 4 posted a weekly reach of 10.64 million during the quarter (10.60m last quarter and 11.22m last year) and a share of 11.6% (11.7% last quarter and 11.8% last year). The Today programme (Monday – Saturday) has 6.98m million listeners each week, it was also 6.98m last quarter and 7.17m last year. In 2017 there was a record number of listeners during a period of significant news events with listening figures returning to usual levels. Over the last year we’ve seen approximately 15% increase in online live streaming and on demand listening. Alongside some of our popular news podcasts, such as Political Thinking and Brexitcast, it’s clear listeners turn to the BBC for trusted and comprehensive news coverage and are increasingly listening digitally. BBC Radio 5 live posted a reach of 5.03 million listeners (4.73 m last quarter and 5.07m last year) and a share of 3.4% (3.1% last quarter and 3.4% last year). Amongst digital-only stations, BBC Radio 1Xtra had a reach of 1.04m weekly listeners across the period (from 1.03m last quarter and 1.08 last year) – which rises to 1.12m when listeners aged 10 + are included, BBC Radio 6 Music drew 2.52 million listeners (from 2.44m last quarter and 2.43m last year), BBC Radio 4 Extra attracted 2.01 million listeners per week (from 1.96 m last quarter and 2.15m last year), and BBC Radio 5 live sports extra posted 1.67m listeners (from 1.17m last quarter and 1.64m last year). BBC Asian Network drew 631,000 listeners, compared to 672,000 listeners last quarter and 662,000 last year. The BBC World Service posted a weekly UK audience of 1.48million (from 1.51 m last quarter and 1.49 m last year). Scott Taunton, Wireless CEO, welcomed the latest set of RAJARs saying: “This is a strong set of results: we’ve grown in hours and reach across our national and local stations. That’s a fantastic performance in the context of a highly competitive marketplace.